an injury to my shoulder during the studio move delayed the start of the install until yesterday, but as usual with forced delay, it gave the project a couple days to mature in my mind and became richer for the extra time. My initial plan for the work was to paint free hand directly on to the panel using the pics of the previous days as rough guides, but most important to my vision of the way I wanted the piece to look was that the panel itself provide the “dark” of the drawing. 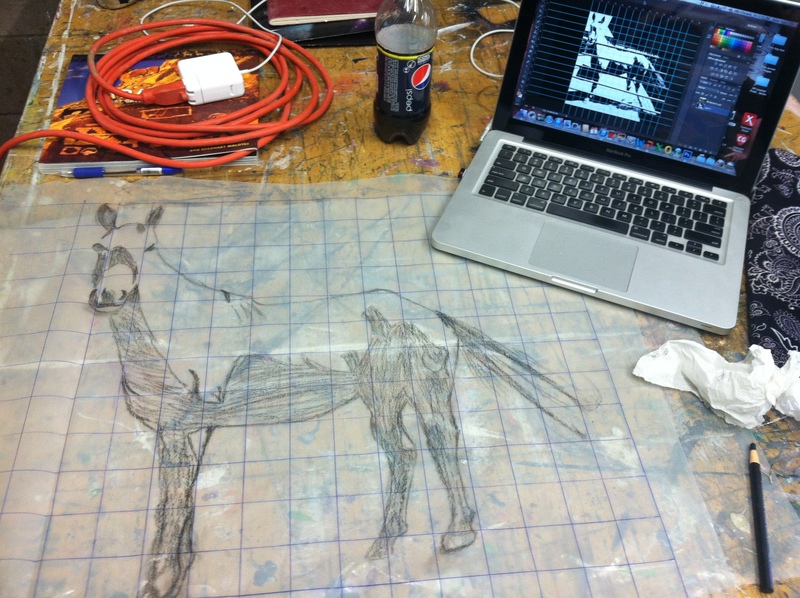 After much deliberation and discussion I decided to go with a lesson from Gabe in stencil making and apply a single horse using a hand drawn and cut plastic stencil. The next step was to prep the clay and practice. Fortunately I have been playing with making my own casting slip and so had some grolleg kaolin porcelain slip already slaked down. 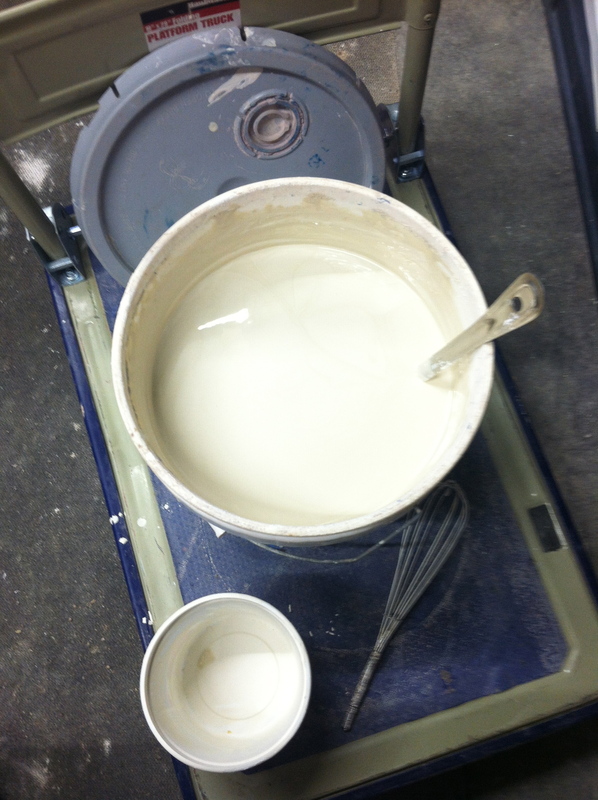 I only had to thin it further and mix it silky for the “paint” consistency that I wanted. Practice was inside the studio. 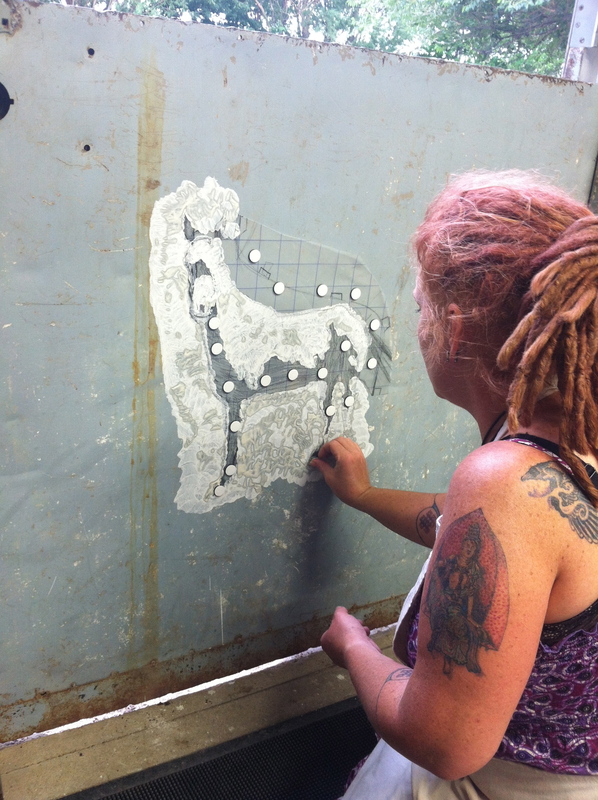 I wanted to understand hanging the stencil and how much clay would be enough without flooding under the plastic and ruining the image. The plan continued to change as I worked. 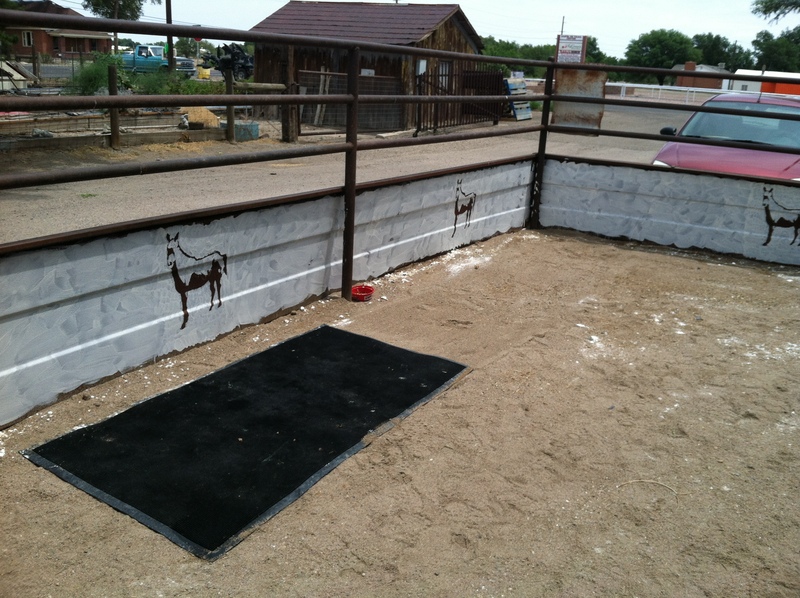 After deciding to use the single horse stencil I still planned to paint accent on the panel to accompany the horses. 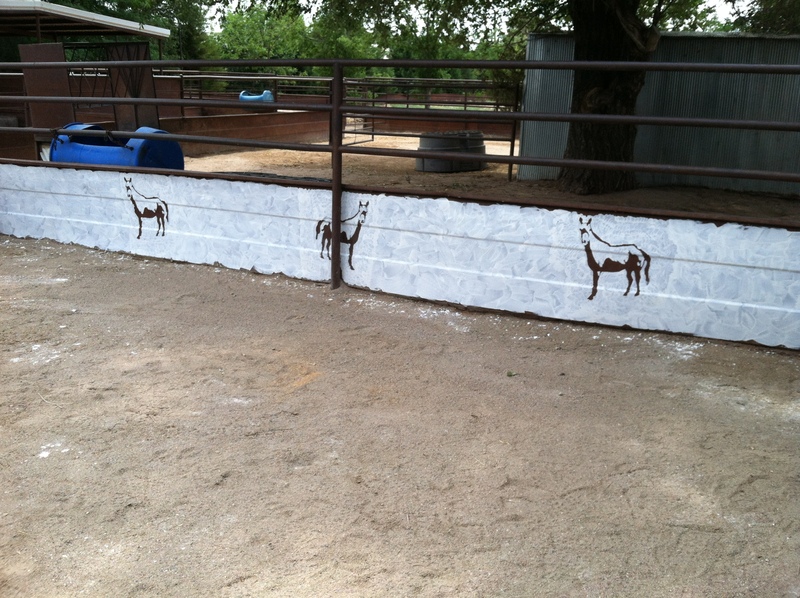 I found the texture of the brush stroke in clay on the iron so beautiful however that I scrapped that plan in favor of fully painting the fence except where the shadows of the horses held the original color. Working out the details of the project took most of the day and I would up painting these into the night. 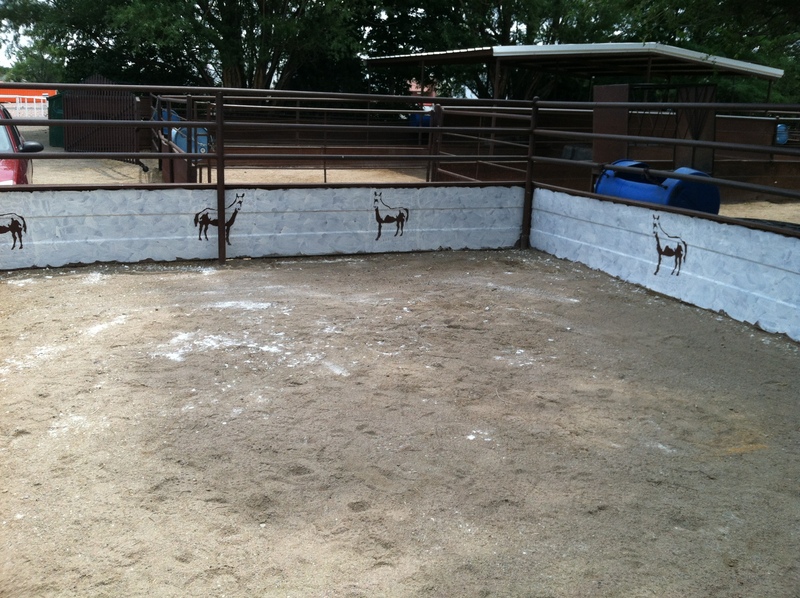 It rained on and off while I worked so there is some water marking on the clay. I was concerned that It would really rain and I would not be able to document the work in the day as I had planned but no rain at the farm was for once a good thing. 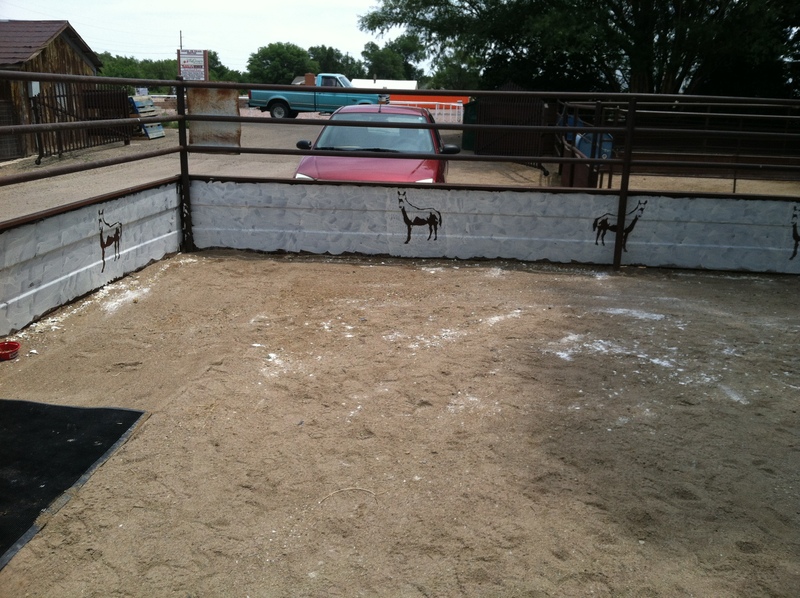 Embellishing and activating this space reminds me of the beauty and power of the horse. The joy and power of riding such a powerful and majestic animal is a true collaboration based on respect, understanding and empathy. As the art is created from clay, it should be interesting to watch it change and soften as the weather and horses interact with the art. It looks like a wonderful stage for some inter-species collaboration of the Art Kind.